I hear it over and over again. The same conversation that inevitably goes something like this…Zoology and landscape architecture? Well, those don’t have anything to do with each other! What do you do? I respond, Zoo design. Their face bares an expression of shock and dismay, ultimately giving way to a smile. I await this continuation…Well, there must not be much of a calling for that profession, eh! Uncomfortable laughter. I smile politely and respond, Actually, if you think about it, most zoos (not to mention aquariums and theme parks) are regularly undergoing some sort of construction, and when they aren’t, they usually are planning for something new. Someone’s gotta do all that work, especially when you consider there are more than 100 accredited zoos across the U.S. alone. Add in the non-accredited, the aquaria and the theme parks, plus think about the rest of the world! There’s plenty of work to do. Not enough folks to do it, actually. And that leads me here. I’m hoping to educate and learn. I hope to reach those people that never thought there were such people as us. I hope to reach students that have an idea that they want to do this, but have no idea how to get there (just like me when I started school). I hope to reach people that need resources, but can’t find them. I hope to reach those that have resources to share. I hope to reach parents and children (that’s everyone, folks) who are just curious about the profession, because curiosity in our work means you’ve been touched by our work at some time. And if we’ve been successful in connecting with you, we’ve been successful. That’s what it’s all about. “Connection” is a term we use a lot in the industry. Connecting people to wildlife. Connecting man to nature. Connecting the one child’s smile to the one silly, furry otter face. Connection is happiness. Connection is curiosity. Connection is inspiration. We often say connections create action. In reality, we know that’s not exactly true. How many of us can say that after visiting the zoo and watching the grizzly bear play in the artificial fresh water stream, heart swelling with delight and the good ole’ warm fuzzies…How many of us can say we went home and started calling others in an effort to collect money to contribute to saving the grizzly habitat? Or, stopped using so much water? Or, even just recycled that water bottle you were carrying the entire trip to the zoo? Not many of us. Zoo designers’ work is important; don’t get me wrong. But, what we do is much subtler than we sometimes forget. Connections fill people with wonder, and, if for one second, they feel empathy for that critter they’re connecting with, we’ve succeeded. Empathy is what builds caring. Empathy is what builds action in the future. Empathy is what makes the busy young professional volunteer time at a wildlife rehabilitation center. Empathy is what makes a research scientist out of a video game addicted kid. So, how can you get into Zoo Design? A great question. Mostly, it takes passion. I don’t know everything about the profession. In fact, I’m a fairly new comer to the game in comparison to some of the big dogs. 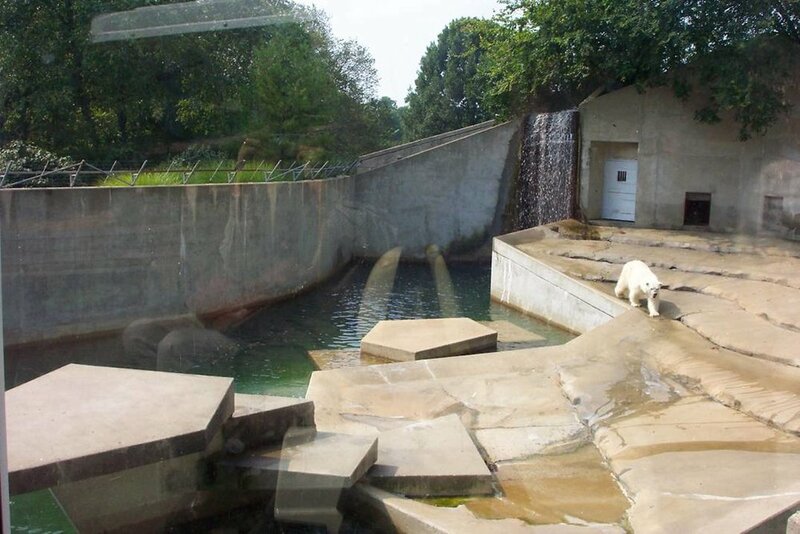 But, I’ve been in a love/hate relationship with zoos all of my life, and I dug in as an adult. I started learning to really critique exhibits from the animal side of things, from the keeper sides of things, and, of course, from the visitor side of things. I started looking and learning. I started asking questions, and I haven’t stopped. I keep looking, and keep learning. Hopefully, with this project, I can teach a little and learn a lot. Hopefully, I will become a better zoo designer. Hopefully, I can create connections.